Credit card companies generally like for you to carry a balance. After all, they may be charging anywhere from 12% to 25% interest, so they stand to make more money. 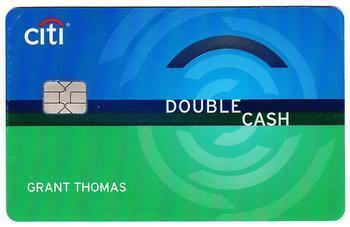 But the Citi Double Cash Rewards card takes a different approach. It actually rewards you for paying off your balance. Let's say you make a $1000 purchase on the account. If you pay off the entire amount when the bill arrives, you earn 2% cash back. If you only pay off part of the purchase, you earn 1%, though you can eventually earn the other 1% once you pay off the purchase completely. "It's just a simple set-it-and-forget it card that fits into most anyone's busy lifestyle," said CreditCards.com senior industry analyst Matt Schulz. "There's no minimum spending threshold to meet, no rotating categories to chase. It's just 2% on anything you buy, anywhere and anytime you buy it. That's a tough combination to beat." Also making this Citi card an attractive choice is its generous introductory period of no interest on purchases or balance transfers. It offers 15 months of 0% interest on both, as long as you complete the balance transfer in the first four months the account is active. On balance transfers, there is a fee of $5 or 3%, whichever is greater. Another nice feature is that there is no annual fee. It's one reason CreditCards.com selected it as the best no annual fee card of the summer of 2017. Placing second in the rankings is the Discover It Miles card. This travel card offers unlimited 1.5 miles for every dollar spent on all purchases – everything from airfare and hotels to groceries and online purchases. At the end of the first year of account activity, Discover says it will match miles on a one-to-one basis, so that if customers have racked up 30,000 miles, that will automatically turn into 60,000 miles. Discover says there are no blackout dates and the miles never expire.